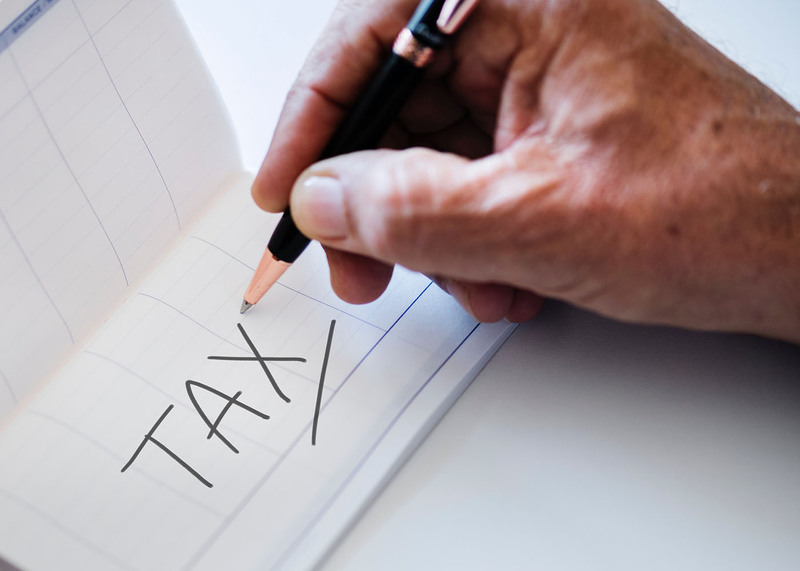 With 2018 wrapping up and the new year approaching, the time has come to start preparing yourself for the upcoming 2019 tax season. When it comes to tax time, filing your taxes can be a daunting experience especially for those who are unorganized. Be prepared this tax season by following the five tax organization tips listed below. Home and office expenses: This should include utility bills, repairs, and maintenance. Vehicle expenses: Include receipts for maintenance and repairs, fuel, license and registrations, rental or lease agreements, and a log of personal and business miles. Education costs: Have receipts for tuition, fees, books, and other education expenses. Childcare: Your child care provider should give you a form listing the amount paid, but having your canceled checks or receipts can be beneficial. Medical costs: Keep track of your out of pocket premium costs and other expenses such as deductible payments, prescriptions, and copays. Charitable donations: Have receipts for all monetary and good donations to non-profit charities. W2s and 1099s which will provide you with your earned income. K-1s which will provide income earnings from a partnership. 1098 which will detail the interest you paid on your mortgage for the year. 1098-E details the amount of interest on your student loans. 1099-B will come from your brokerage company and give a statement of the gains and losses of your investment accounts. 1099-DIV will list the earnings from mutual funds such as dividends and capital gains. 1099-G will provide the amount of unemployment benefits. 1099-INT will provide the interest income received from your bank accounts. 1099-R will list the distributions taken from pension or retirement accounts. 1099-SA is your Social Security benefits statement. Moving expenses for active duty military members and those moving for a service-related reason. Property loss due to theft. Home office expenses if self-employed. The specific tax forms you will need will largely depend on your individual tax situation. Most taxpayers will need to file either a 1040, 1040A, or 1040EZ to report income for both employers and employed and self-employed workers. For self-employed workers, you may need a Schedule C to record business expenses. and most taxpayers will need a schedule A to itemize their deductions. You will also need to make sure that you have the same tax forms for each state and locality that you worked in if state or local taxes are required. If you use a tax preparer or account to file your taxes, they will have all of the forms that your return will require. It is easy to get overwhelmed and wait until the last minute to get everything together for your tax preparation. You can eliminate stress by setting a schedule that will allow you to break the preparation into small tasks each week before your meet with your preparer. Set a time to organize receipts, scan necessary documents, gather forms, etc. The final item on your schedule should be the meeting with your tax preparer making sure you schedule it far enough out that you don't feel rushed. Don't let preparing for the upcoming 2019 Tax season stress you out. Try one or all of the organization tips listed above to help be better prepared and make the process of tax preparation easier on everyone. This material is intended to be educational in nature, and not as a recommendation of any particular strategy, approach, product or concept for any particular advisor or client. These materials are not intended as any form of substitute for individualized investment advice. The discussion is general in nature, and therefore not intended to recommend or endorse any asset class, security, or technical aspect of any security for the purpose of allowing a reader to use the approach on their own. Before participating in any investment program or making any investment, clients as well as all other readers are encouraged to consult with their own professional advisers, including investment advisers and tax advisors. Faithful Steward Wealth Advisors can assist in determining a suitable investment approach for a given individual, which may or may not closely resemble the strategies outlined herein. Some information in this blog post is gleaned from third party sources, and while believed to be reliable, is not independently verified. The statements contained herein are based upon the opinions of Faithful Steward Wealth Advisors.